seeCOLe is a wearable mobile health app, that enables clinicians to navigate and document in the electronic health record hands-free by using voice commands. seeCOLe allows the Clinician to access the Patient chart by voice search or scanning the Patients armband. seeCOLe displays key Patient demographic information to confirm proper chart entry. 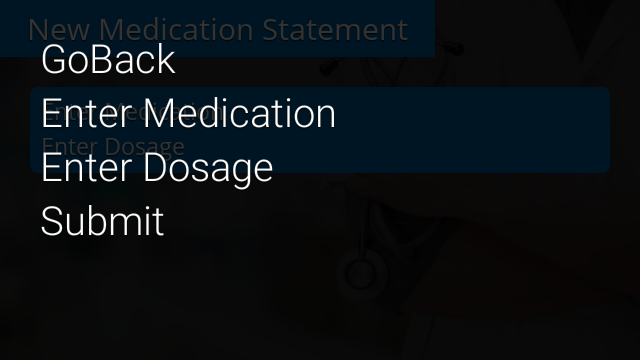 seeCOLe grants the Clinician access to various sections of the Patient record by voice command. 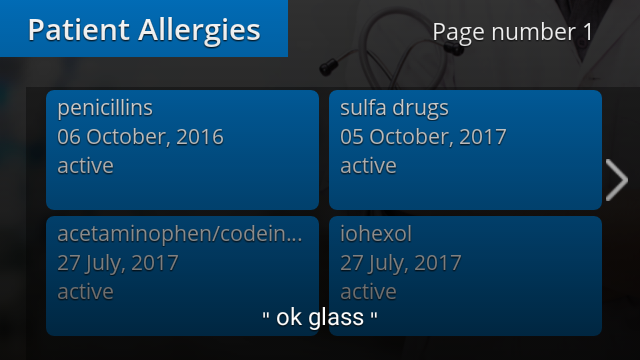 seeCOLe displays a list of Patient allergies. seeCOLe displays the Patient Vital Signs. 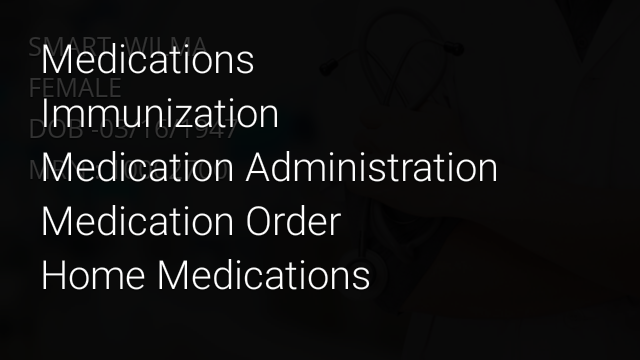 seeCOLe retrieves various Patient medication data and allows the Clinician to simply say what information they need to access. seeCOLe displays the Patient active medications. 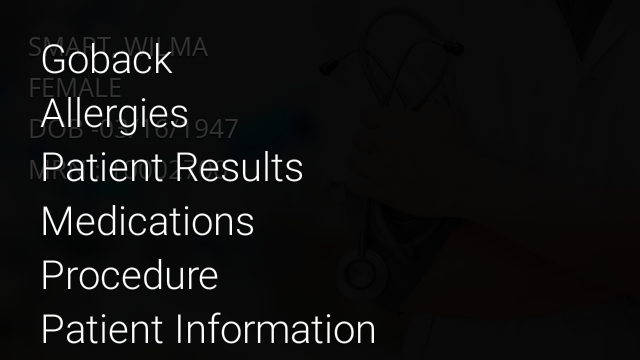 seeCOLe also allows the Clinician to document in the medical record. 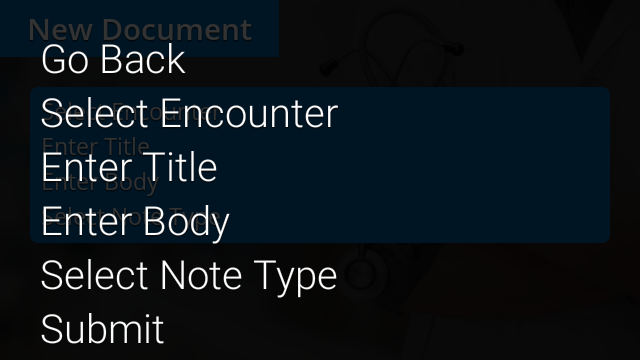 seeCOLe can pull documentation from the medical record. seeCOLe allows the Clinician to create medical notes that sync back into the electronic health record. seeCOLe is an augmented reality health app that enables Clinicians who use the electronic health record to review and document patient information by voice command. 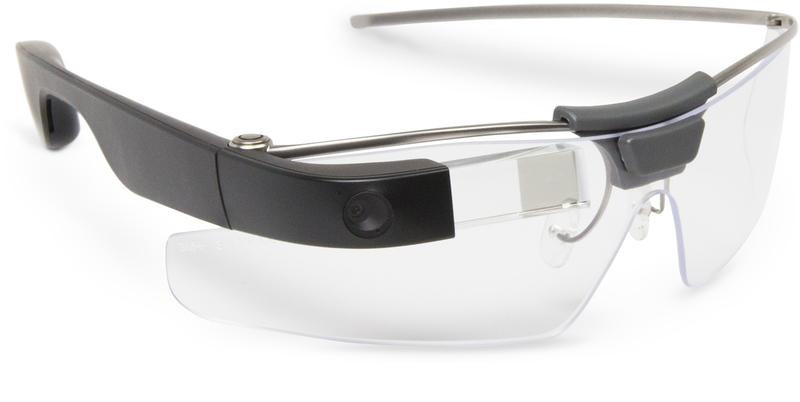 seeCOLe is powered by augmented reality devices, such as Google Glass and allows the electronic health record to appear within the view of the Clinician. seeCOLe functions by voice command or by using your finger. Using an augmented reality device, the system responds through multiple voice prompts. 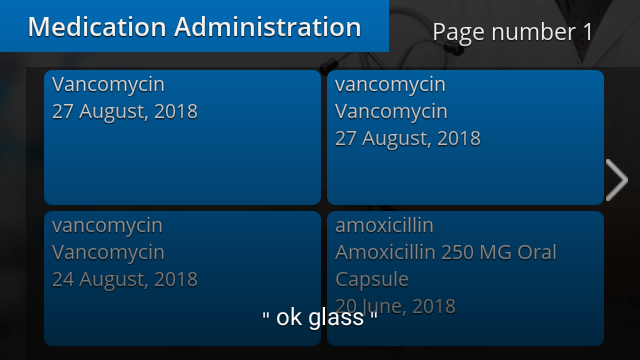 The voice prompts interact with the electronic health record and displays within the Clinicians point of view. seeCOLe can also respond to voice commands to enter information into the electronic health record. seeCOLe is also enabled to respond by using several finger motions to review and document in the electronic health record. Using TokBox API, seeCOLe allows end users to verbally communicate and share real-time live video feed from their Google Glass or Vuzix Blade devices. Users can also view sessions from a laptop, desktop or tablet. 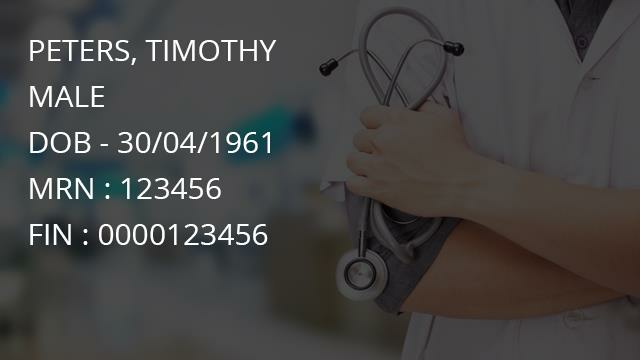 The seeCOLe Patient mobile app enables the Patient to verbally state their symptoms and complete a short questionnaire prior to engaging with the Provider. 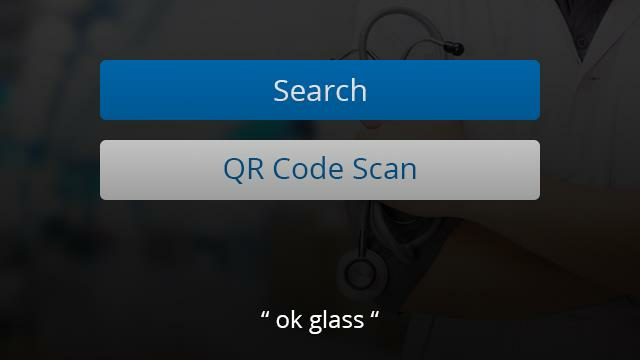 Using Infermedica’s artificial intelligence API with clinical evidence-based data, the algorithm populates probable Diagnosis by percentage for the Patient onto the seeCOLe's AR lens display. 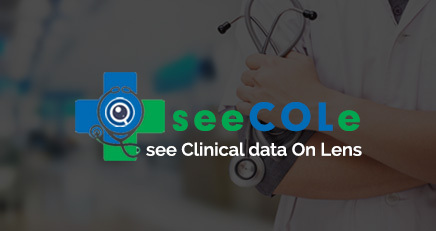 seeCOLe allows the Clinician to access and document patient data hands-free, allowing Clinicians to access the information at the bedside, consulting with the Patient, isolation areas, and in the operating room. 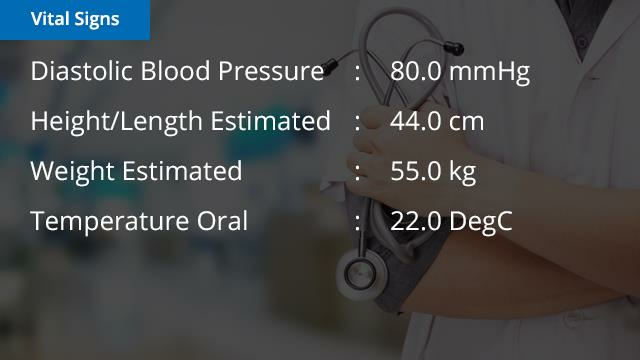 seeCOLe is a wireless application that allows more Clinician to Patient interaction, patient data appears within the Clinicians point of view when prompt. seeCOLe serves as the perfect rounding tool, allowing Clinicians to navigate and update the electronic health record by voice command giving the Clinician access to information hands-free. 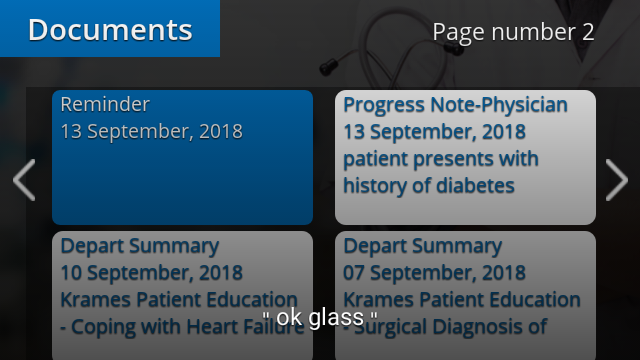 seeCOLe requires no lengthy training, just saying the voice prompts allow the Clinicians access to the Patient records. seeCOLe can be used in the Emergency Department, Acute Care, Isolation Rooms, Operating Rooms, Outpatient Facilities, Pharmacy, Labs and Ambulatory Clinics. seeCOLe can integrate with Cerner, Epic Systems and Allscripts electronic health records. Copyright © 2018 seeCOLe (see Clinical data On Lens). All Rights Reserved. Username: This field is requred! Password: This field is requred!